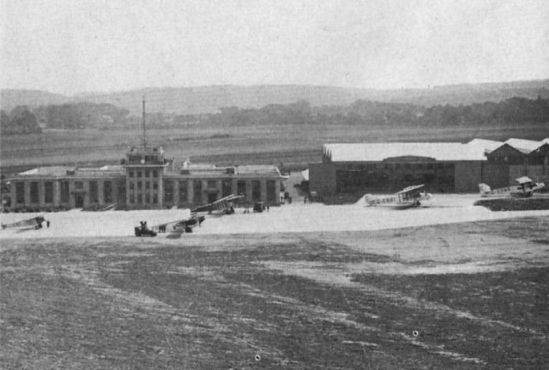 A typical view of Croydon in the 1930s, with the famous terminal building dominating the scene. On the apron, left to right, are a Fokker F.III, Rohrbach Roland, Liore et Olivier 21, Handley Page W8b and Handley Page W10. The author drew the fuel tanks for the Supermarine S-4 of 1925. 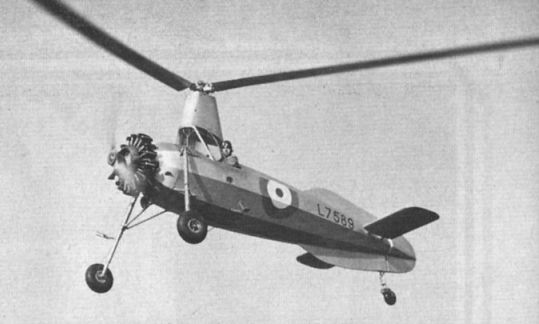 The Cierva C-40 was built under licence by the British Aircraft Manufacturing Co. Powered by a 180 h.p. Salmson 9 NG radial, it first flew in 1930. 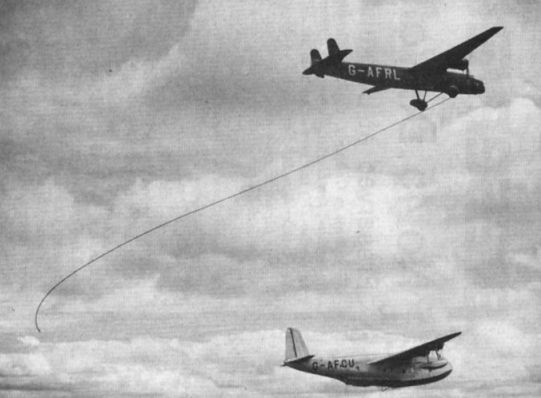 Handley Page Harrow G-AFRL and Short S.30 G-AFCU Cabot demonstrate flight refuelling over Southampton. 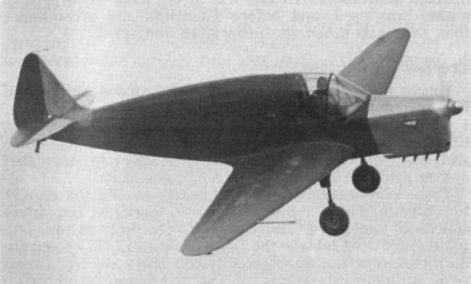 The Desoutter Monoplane was born in 1929, when Marcel Desoutter formed a company to manufacture the Koolhoven F.K.41 three-seater under licence. The second F.K.41, on the photo, was flown to Croydon and G. H. Handasyde revised the design. The Croydon-built examples, powered by Hermes I engines, were built in part of what was once the ADC factory. A grand total of 28 Desoutter Is were built, plus 13 examples of the Gipsy-engined Desoutter II of 1930. The first of the latter was G-AAZl, which first flew in 1930, survived wartime impressment as HM507, but was scrapped and burned in December 1945. 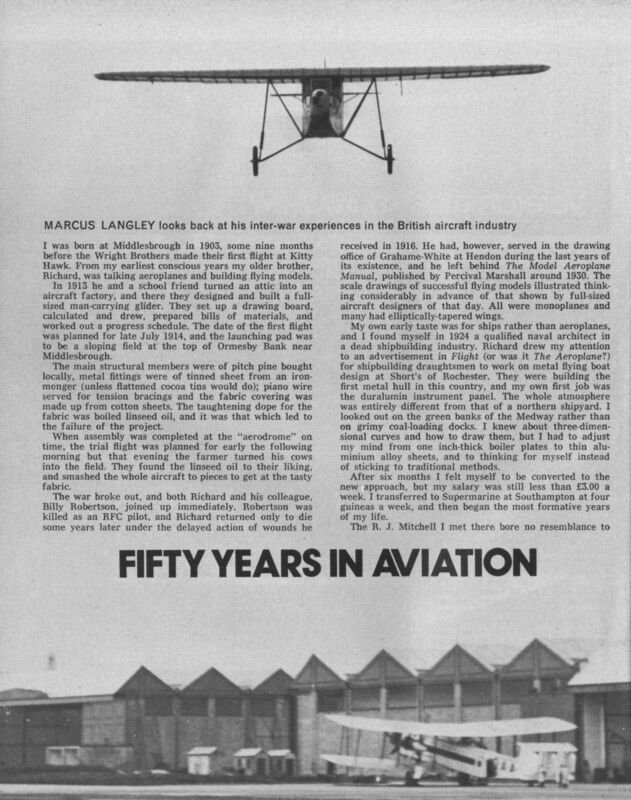 The picture shows a Desoutter Monoplane over Croydon in the 1930s. The de Havilland Technical School’s T.K.1 of 1934 was built by the students under the author’s guidance. It later received the apt civil registration G-ACTK.